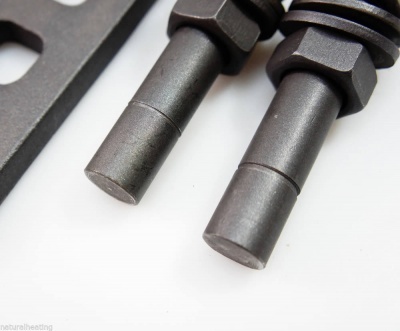 Finding replacement parts such as coal grates for older multifuel stoves can be difficult and often impossible if your stove is no longer in current production or the original manufacturer cannot be found. Recently fitting these into Hunter wood burners, Esse Dragons, Kingfire, Bestfire, Warmking, Sunrain and many other multi fuel and wood burning stoves. Internal sizes of stoves can vary a lot and you will find lots of coal grates with different length, widths and depths and heights - but rarely one that meets the criteria you need to fit your fire. 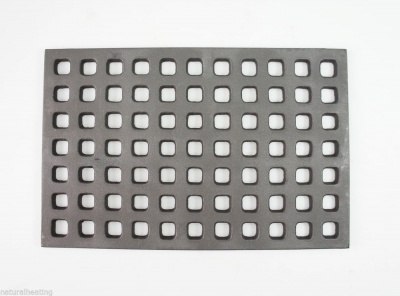 For this reason, we designed The Universal Stove Grate System - this design is registered to us. 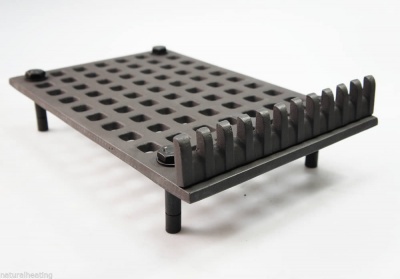 Our Universal coal grate is a modular system based on a waffle type cast iron grate. The nature of this allows it to be cut down by the fitter or anyone with basic diy skills to the required size using an angle grinder using cut off discs. 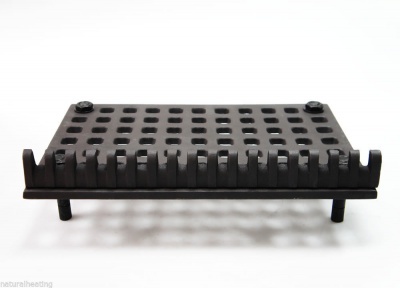 In the pack, you will receive a set of 4 legs, cast iron front retaining bar and a cast iron waffle type grid / grate. The grate can be used without legs should you need to do so (in some stoves, grates sit on a ledge inside the stove) but holes in the grate allow you to position the legs wherever you require after cutting the grate to the required size. 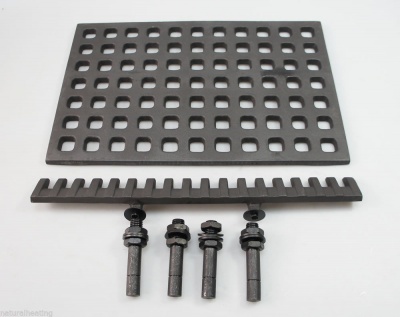 This set is currently available in two size options - standard ( 300 x 300mm grate size) and large (457mm x 300mm). Appropriate length retaining bar is provided with each set, which can span the maximum length of the grate before altering. When legs are fitted to the grate it sits 90mm high to top of grate (excl retaining bar) or 65mm high if you cut the legs at the marked point. Nuts and washers are provided for fitting purposes. The legs have an easy cut mark to make it easier to cut them down if required. Likewise, the front retaining bar can also be cut down in length if required to suit and also bolts in through the holes in the cast iron base grate. If you don't need a retaining bar - simply leave it aside. The retaining bar is 53mm high. 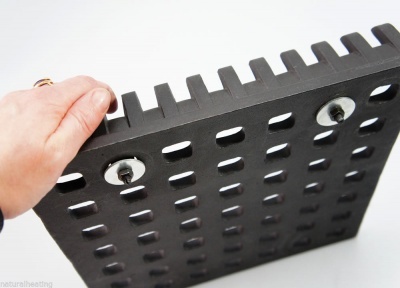 Should you wish to fit this to your grate, and need to alter it - cut down to no less than 220mm length. The photos show attachment of the fuel retaining bar and legs to the coal grate. If the back of your stove is angled inside, it is possible to cut diagonally across the cast iron waffle grid to make a grate which is a good fit. We would suggest that you first make a cardboard template and position this on top of the cast iron grid and mark with pen or chalk before you cut it.